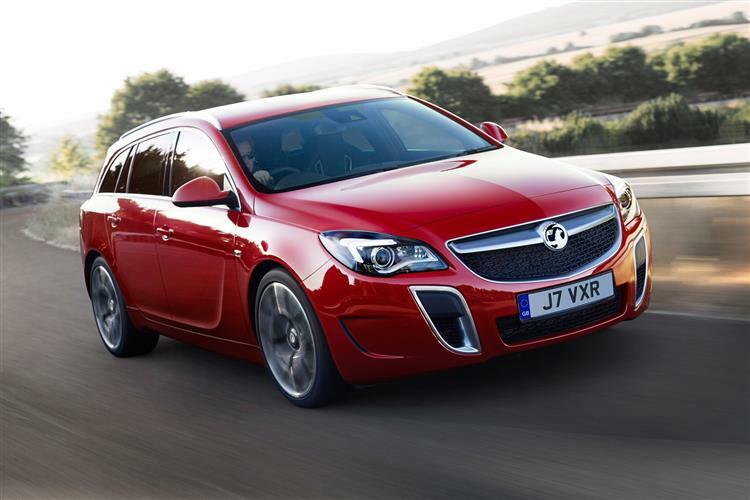 Vauxhall's VXR brand has always signalled speed but it's rarely spelled sophistication. This Insignia VXR changed all that, matching potent performance to the kind of subtle, purposeful high speed everyday capability that used to be the preserve of BMW and Audi. It's a surprisingly impressive car. Rest to sixty in 5.8 seconds, 321bhp, a top speed that would get you permanently locked up if Vauxhall hadn't restricted it to a still highly illegal 155mph. It wasn't long ago that you needed a supercar to achieve statistics like these. These days though, all you need is an ordinary five-door family hatch. Or maybe not such an ordinary one. 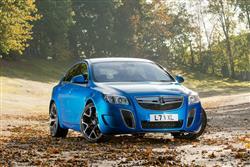 Perhaps this car, Vauxhall's Insignia VXR. V,X and R are three letters that spell ballistic performance for any Vauxhall. When first the badge was launched back in 2003 on Max Power versions of some of the brand's smaller cars, that was about all it signified. Fast yes. But about as subtle as Lady Gaga. Unless you're selling a rally replica supercar, that's not something you can get away with on something bearing a much more exalted pricetag. 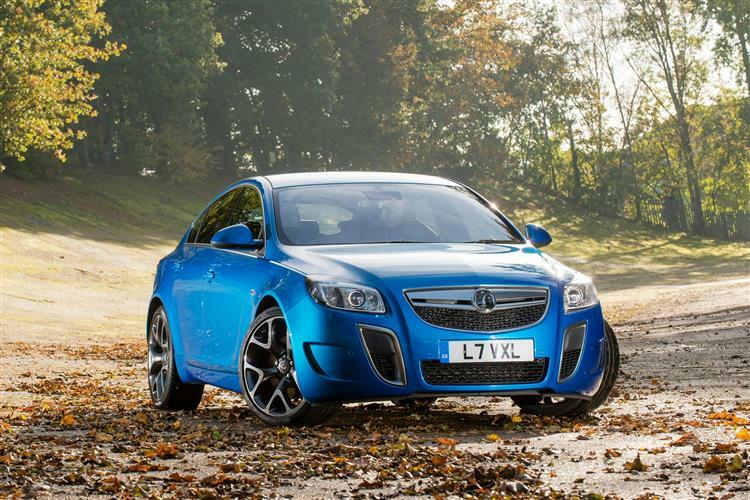 So unlike its Vectra VXR predecessor, this flagship Insignia had to pack its powerful punch in a velvet glove. 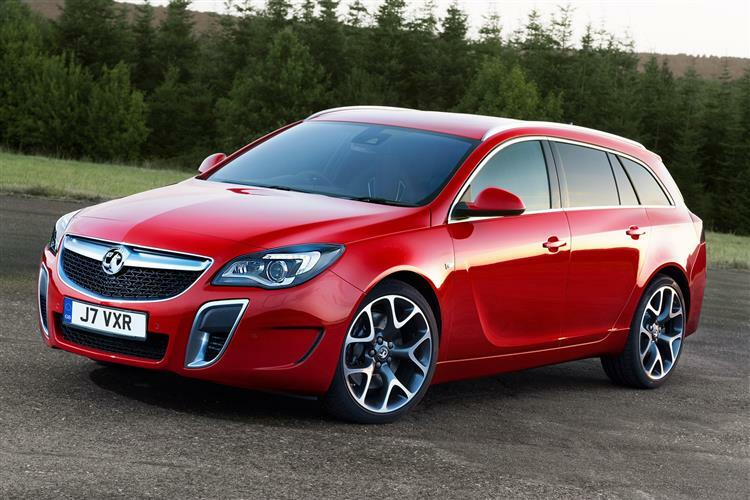 It did, launched in 2009 and sold until early 2017, available in saloon, hatch and Sports Tourer estate bodystyles. Along the way, in 2015, an uprated 'VXR Supersport' version was launched. Sophistication was the watchword with the styling of this car, in saloon, estate or hatchback guise. True, it's still more extreme to look at than your average Audi S4 or the sport-trimmed BMW 335i or Mercedes C350 models from this era that you could choose. Gaping front cutaways manage to transform the standard Insignia model's rather restrained look into something much more dramatic, a theme continued around the car, especially if you choose a variant fitted out with the optional 20-inch bespoke-fit alloys, through the spokes of which are the colour-coded callipers of the Brembo high performance braking system. It's all suggestive of potent purpose. But not so much that you'd feel a little self-conscious at the golf club. Inside, you sit 15mm lower than in humbler Insignias, clasping the flat-bottomed leather-trimmed sports steering wheel while being firmly but comfortably supported by brilliant Recaro seats that are as good on the motorway as they would be lapping at Monza. VXR badges litter the cabin, cropping up on the instruments, the gearknob, the steering wheel and the door sills, but otherwise practicality rules. That's provided of course that you're not over six foot and so hampered by the sloping roofline that's evident at the back. Those not of basketball height will however, be quite comfortable in the rear, with decent leg and shoulder room. Out back, the hatch offers 530-litres of luggage room, which rises to 1465-litres if you flatten the split-folding rear seats. 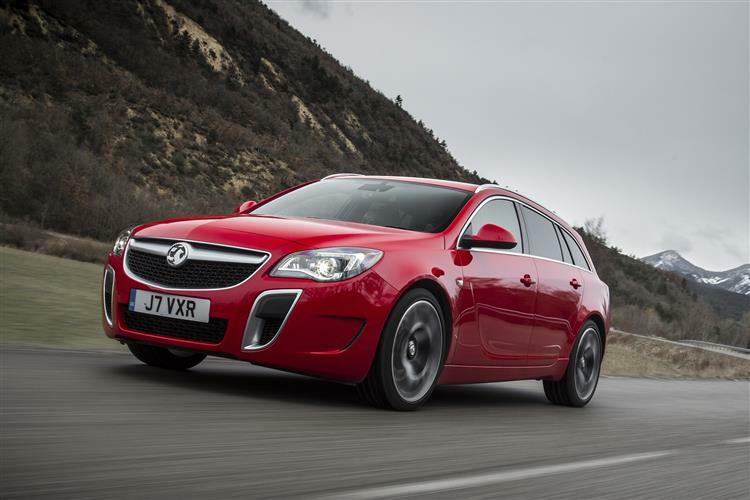 Opt for the Sport Tourer estate model and those figures rise to 540 and 1530-litres. 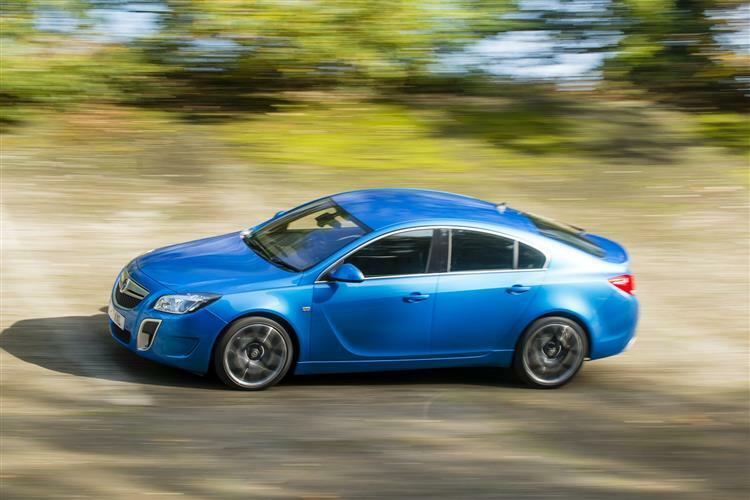 As with all Vauxhall VXR performance products, you're going to need to make sure that the Insignia VXR model you're looking at hasn't been subjected to a very hard-driving life. It's less likely that this model will have been used on trackdays - that's more of a problem with an Astra VXR. Nevertheless, it's probable that it will have been driven enthusiastically, so a fully stamped-up service record is pretty important. If the seller doesn't have one, we'd advise you to walk away. Other issues are ones that apply to used Insignias as a whole. In our Insignia survey, we can across plenty of minor electrical issues - and a few that related to the ECU system. There were various touchscreen issues with the centre-dash infotainment screen and in one case, the dash info unit suddenly switched itself off. In another, random warning signals started showing in the instrument binnacle. Engineering issues included a report of a squeaking fan and a coolant leak that was traced to a faulty EGR unit. In one case, the stop/start system stopped working. In another, the car exhibited squeaking sounds when cold, or after long trips. One owner with an automatic model reported whining from the transmission too. Another had to replace an inlet manifold rail, a flywheel and a steering rack. And in one case, there was an issue with the fuel filter causing the car to stall when driving. Minor issues included a report of a rattly parcel shelf, an issue with the power mirrors not returning to their usual position after being dipped for parking. One owner pointed out that the paintwork marks easily. And another reckoned that the front tyres were only lasting 10,000 miles. (approx based on a 2013 Insignia VXR - Ex Vat) An air filter costs around £7, though you could pay up to around £15 to £17 for a pricier brand. An oil filter costs in the £5 to £6 bracket, though you could pay up to around £18 for a pricier brand. Brake pads sit in the £11 to £35 bracket for a set, though you could pay up to around £50 to £57 for a pricier brand. Brake discs cost in the £45 to £65 bracket. Wiper blades can cost as little as £3. A wing mirror glass replacement costs around £22. A radiator can be had for around £82, though you could pay up to around £115 for a pricier brand. Other VXR Vauxhalls compete against models from other volume brands - Renaults, Fords, Peugeots, nameplates that just don't exist at the £30,000 pricepoint where when new, this Insignia was priced to operate. Taking on BMW, Audi and the odd Mercedes is a very different task and one that the German development team didn't undertake lightly. Adding extra power and some spoilers, as they did with the old Vectra VXR, simply wasn't going to cut it. So they went to town with this model. It was, for example, the first four-wheel drive VXR. Nothing new in that you might think, with all-wheel drive having long been a familiar option in the standard Insignia range. In this case though, a lot more electronic help is on hand to get all of those 321 braked horses onto the road. An electronic limited slip differential for example on the rear axle and, perhaps most importantly, a totally new suspension design, HiPerStrut, designed to reduce torquesteer, that writhing feeling you get through the steering wheel of cruder performance cars as they struggle unsuccessfully to get their power down under heavy acceleration or out of slow corners. There's none of that here, thanks also to clever systems able to distribute power to whichever of your wheels offer the most grip at any time. Another initially familiar but thoroughly reworked part of this car is the 2.8-litre V6 turbocharged engine, boasting 64bhp more than it does in standard Insignias thanks to a larger turbo and reworked engine software, with the result that sixty from rest can be dispatched in just 5.8s. Only a second slower in other words, than the rival BMW M3 from this era that must direct its power through only two driven wheels. But then the old Vectra VXR version of this car was pretty much that quick, yet the thought of choosing one over an M3 would have been laughable. To change that, a much more sophisticated approach was required. So there's none of the all-or-nothing power characteristics familiar from other VXR turbo engines. Just a swelling thrust that, once past 2,500rpm becomes ever-more urgent, catapulting you between 50 and 75mph in just 7.1s. The on-road demeanour's mature too, thanks also to the FlexRide suspension that's there to compensate for a package of changes - large alloys, stiffer springs and lowered suspension - that would normally spell curtains for ride quality. As it is, this Insignia manages to remain on the pleasant side of firm and in either 'Normal' or 'Sport' performance modes is an impressive high speed, long distance cruiser. 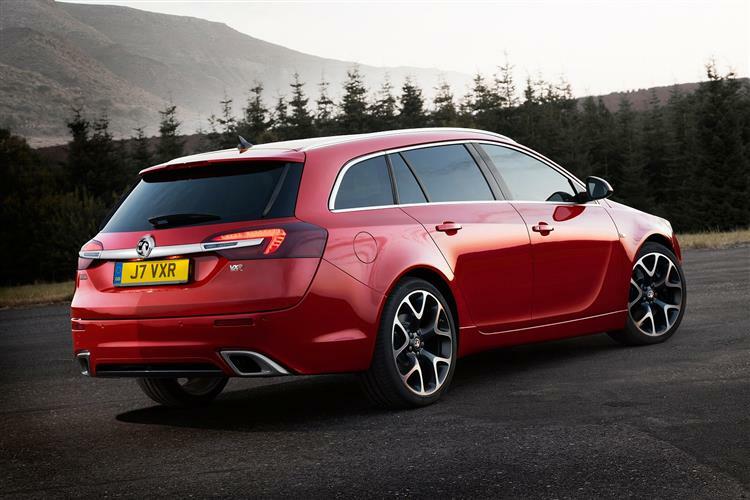 The top speed in original Insignia VXR models was limited to 155mph, but in the post-2015 'VXR SuperSports' model, the limiter was removed, so those cars will max out at 170mph, should you be able to find a stretch of deserted autobahn. Veer off the highway though and you can still remind yourself why you bought this car in the first place by selecting the final and most extreme VXR setting. It stiffens the damping, weights up the steering (though that's still rather light) and sharpens the throttle response. The result is as good as anything an Audi S4 can serve up, with crisp turn-in and brilliant grip. Oh and a wonderful burbly exhaust at low speeds that hints happily at pleasures to come. A supercar for the real world on a real budget? It might just be. That this is the finest VXR performance model this brand produced in the 2009 to 2017 era is, for us, not in question. It may even be the best Vauxhall ever made. To our eyes, it's certainly the most desirable. But will all that be enough to make BMW and Audi buyers look twice at this car on the used market? Perhaps not, but they'd be foolish not even to try it. This Insignia has a street presence that S4 and 3 Series rivals lack and a price tag that urges you to take a second glance. Most importantly, it gives the VXR badge the kind of credibility you'd normally reserve for a BMW M series or Audi S series model.